Brief: This was a proactive project. Our department and the Sales team created this project specifically for this customer, with no prior brief or request. Concept: Create a complex health hub, powered by Herbalife. Grouped in 3 main themes – nutrition, sport and motivation – we offered our readers valuable advice about healthy leaving, which they could start applying easily in order to feel better. We used media personalities that are specialists in each domain as hosts and guides to our video-series. 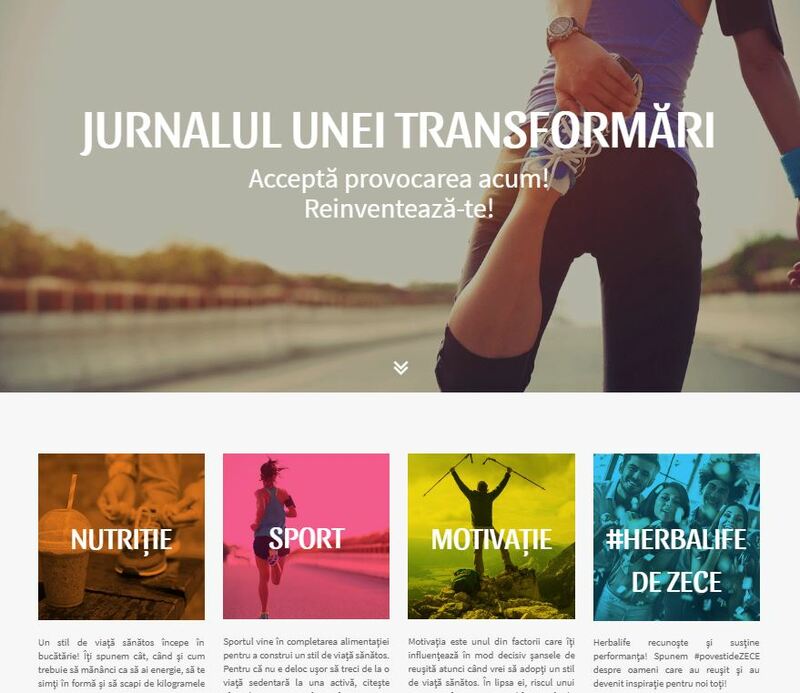 Delivrables: Special website (copywriting, design, coding, management), app (concept, copywriting, design, coding and management), 40 videos (production, concept, copywriting, editing), native advertising, promotion.